Elise is a New York State licensed Speech Language Pathologist with a private practice in Sag Harbor, who also holds a certificate of Teacher of Speech and Hearing Handicap. She holds a contract with Suffolk County Related Services Program, as well as many of the local school districts for whom she provides evaluations, consultation with staff, and individual and group therapy. Elise has been a certified member of ASHA (American Speech-Hearing Association) for over 20 years. She has extensive training in the areas of Childhood Apraxia of Speech and other motor speech disorders, fluency disorders, and expressive and receptive language disorders. Elise is the only PROMPT certified clinician on the East End of Long Island. Learn more about PROMPT. 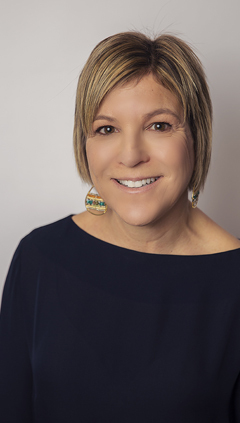 Elise provides consultations, both in the Hamptons and New York City, as well as online, for parents who have questions or concerns regarding their child’s language development, or are looking for ways to enhance or improve their speech and language skills. She can assist in selecting appropriate toys and activities for your child's individual needs and develop a plan for you to use in your home. Elise also specializes in feeding therapy and works with children who are picky eaters, or have oral motor and sensory issues as well as poor feeding skills. Elise holds a master’s degree from New York University. She is a recipient of ASHA’s ACE Award for her commitment to continuing education.